Pure Annihilation! 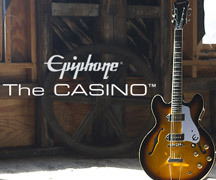 Epiphone has a long history of supplying some of the greatest guitarists of all time with the instrument they need to excel. And that history continues with the new "Annihilation-V" made in cooperation with legendary guitarist, Jeff Waters. 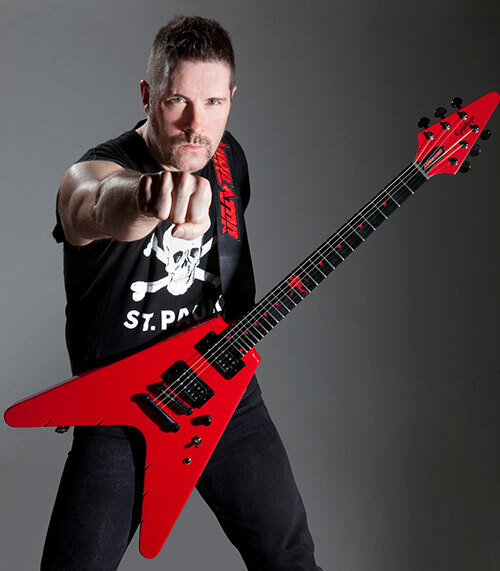 Prestigiously ranked at #3 in Joel Mclver's 2009 book "The 100 Greatest Metal Guitarists," Jeff and his band "Annihilator" have been shredding audiences worldwide for years and now he's ready to take it up a notch with what he calls "The Ultimate Metal Guitar!" Bred to Shred. Like any great instrument, the Annihilation-V starts with great tone woods and construction. The neck is solid mahogany joined to a solid mahogany body using a traditional deep-set, Flying-V neck joint that's handed fitted and glued in place for optimum tone and sustain. For lightning fast performance combined with comfort, the neck features a "D" profile SlimTaper neck combined with a 24-fret phenolic fingerboard that not only allows a full two octaves of range but also an ultra smooth and extremely durable surface. Tone to the Bone! 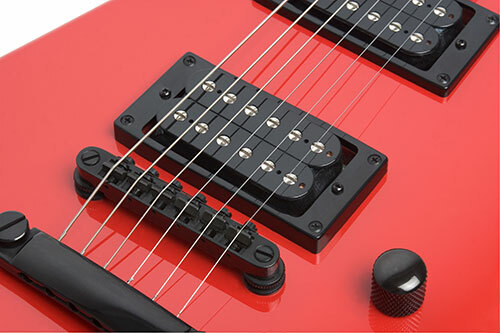 At the heart of any great guitar are great pickups and this guitar is no exception. Designed specifically for Jeff by Epiphone engineers and made by Gibson U.S.A.'s world-famous pickup division, the Annihilation-V features custom "JWT" (Jeff Waters Treble) and "JWR" (Jeff Waters Rhythm) 4-wire humbuckers in the bridge and neck positions respectively. Overwound and featuring a Ceramic-8 magnet, the JWT bridge humbucker can deliver the right combination of crunch and growl without ever losing it's enhanced lows and crystal clear highs. 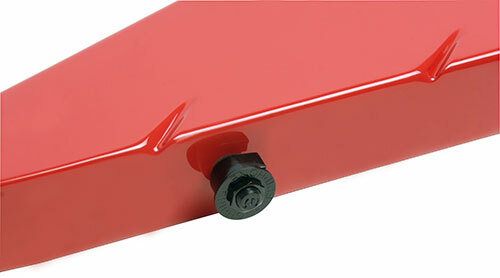 The JWR neck pickup features an Alnico-II magnet that provides vintage tone with great sustain and clarity along with the right combination of power and warmth. Together, the two pickups offer the perfect combination of crunch and clean. But wait... there's more! Controlling the two perfectly matched humbuckers is a set of simple yet powerful controls that offer incredible versatility. The master volume control is also a push/pull control allowing you to tap into each coil of the two humbuckers for a brighter, single-coil sound while keeping them noise-free. The 3-way toggle in combination with the coil-splitting allows you up to 6 different tonal combinations ranging from a one single-coil to full-on humbucker assault. 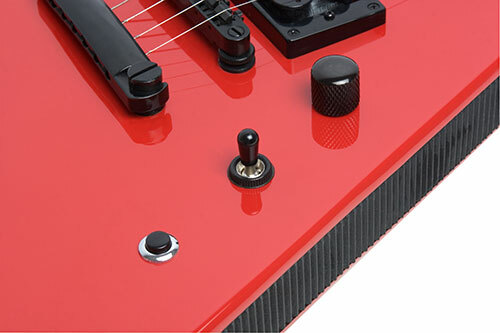 Add to that, an easy to use momentary "killbutton" that cuts off the output for added effects and you've got a guitar that's ready for anything. Loaded with premium add-ons! 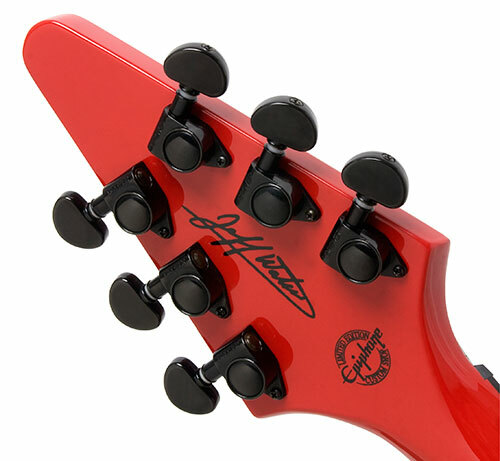 Other upgrades include Grover 14:1 ratio tuners, Epiphone StrapLocks, Epiphone LockTone tune-o-matic/stopbar combination, "Annihilator Devil" inlay on the 12th fret and Jeff's signature on the back of the headstock. 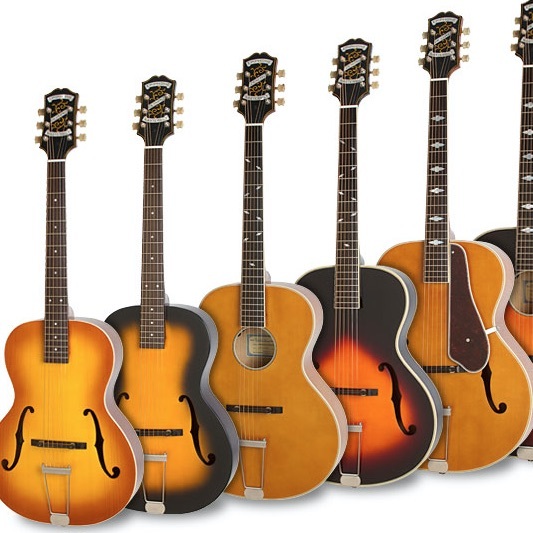 And, like every Epiphone, it features their Limited Lifetime warranty backed by world famous 24/7/365 day Gibson Customer Service. 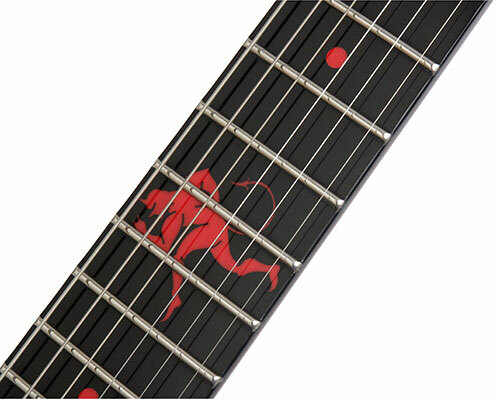 Available in either Annihilation Red (gloss) or Pitch Black (satin), prepare to annihilate your audience with the new Jeff Waters Annihilation-V - The Ultimate Metal Guitar! Listen now to the new song "The Trend" from Annihilator's new self titled CD featuring Jeff Waters playing his Epiphone Signature Annihilation Flying-V. Just PRESS PLAY above!